Monthly demonstrations are 10:00-12:00 pm. Cost is $5.00 and includes a pot luck lunch. Michael Jennings, an oil pastel artist, will be presenting a demonstration of the use of perspective in drawing. Jennings maintains that understanding the basics of perspective in rendering three-dimensional objects on a flat surface is important in any medium. He will discuss viewing point and elevation in both one-point and two-point perspective to capture proper proportion. Although his background is in architecture and construction, Jennings feels that artwork is what truly fulfills him. He has spent the last 30 years translating his childhood memories to paper and sometimes through his sculptures. Whether he’s painting from pictorial scenes from his great grandfather’s days as a Texas Ranger, or something he recently viewed out the window on one of his many drives to his home in Ruidoso, he is content. ​Kim Roberti, an accomplished artist, will be presenting a demonstration on figures in oil. Kim claims painting has become her life. It all began in 2000. She began studying how-to-books and took lessons from artists near and far, including 6 years of private study with the renown masters Sherrie McGraw ad David Leffel. In 2007 she joined the Dailypainters group. Since then she has painted at a rate of anywhere from 1 to 3 small paintings a day 7 days a week and 365 days in a year. She continues to paint and learn every day. Most of her subjects are figures and portraits. She considered them as a rich and endless interesting way to express herself. The fast pace and forever changing commercial landscape of e-commerce has opened an unprecedented revenue for her art. She has garnered thousands of collectors from many corners of the world. Her work is affordable and can be found on eBay. Kim is also involved in a new art group for serious artists. ART 2900 is a group of artists that are seasoned professional artists serious about their work. Their goal is to instill the basic principles of art and to encourage others in their path. 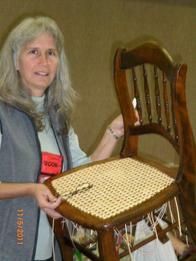 Jackie Thomas, a renowned basket weaver, will be presenting a hands-on demonstration at the Llano Fine Arts Gallery. Last year everyone had a great time and made a basket to take home. Sylvia Ewing will be presenting a hands-on-demonstration in mosaic glass work at the Llano Fine Arts Studio on August 3 at 10:00 a.m. Attendees will need to bring a 5 X 7 wooden frame with glass, however some frames will be provided. Jack Moss of Llano, will be presenting a demonstration in his watercolor technique at the Llano Fine Arts Gallery and Studio on Monday July 6th at 10:00 a.m. The public is invited to participate. Mr.Moss has drawn and painted since he was a little boy. 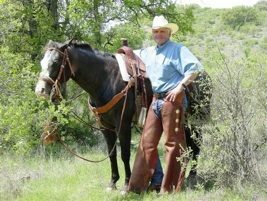 His dad was a Baptist preacher, and a rancher. His love of art, and growing up around horses and cattle, brought the passion western painting and the western lifestyle together naturally. Gretchen Sparks of Houston, will be teaching the importance of an under painting. Please bring any and all chalk pastels (both soft and hard) and pastel pencils that you have. Gretchen will bring pastel paper for everyone to practice on. Dana Parkinson will be presenting a demonstration on using glazes on acrylics to bring out the color for a photo effect at the Llano Fine Arts Studio on April 6 at 10:00 a.m.
Dana is a Graphic Artist. She attended art school in Boston, then worked in New York for a big advertising agency. Her mom got cancer so she moved to California to be with her. There she met her husband and raised two daughters. Her career soon changed into makeup artistry and management, then fitness training. 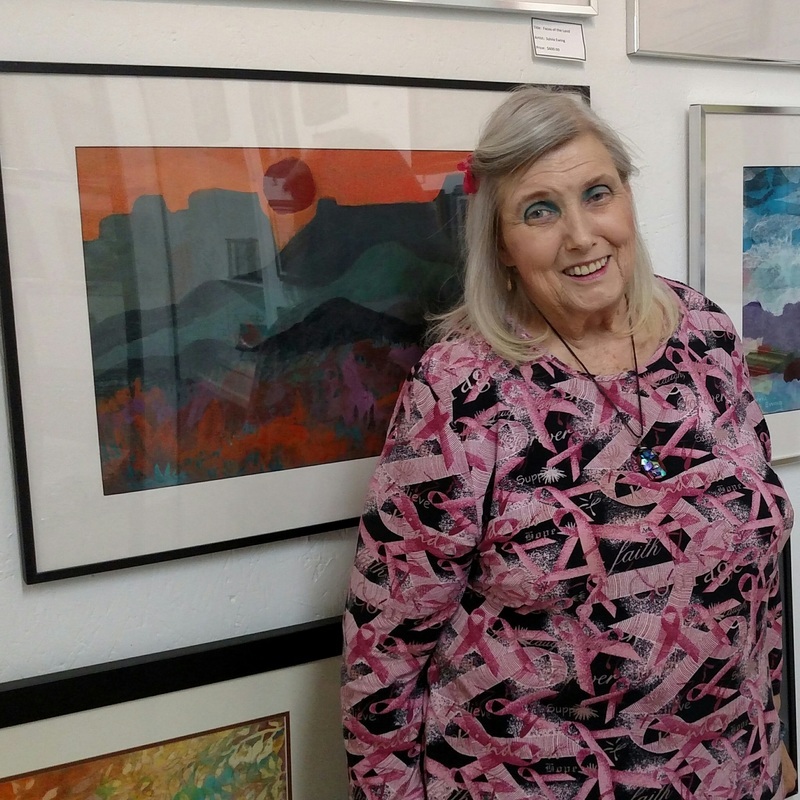 She has been a member of Buchanan Arts and Crafts for over three years where she learned watercolor and watercolor portraits under Betty Bielser. She loves the artist community which is always inspiring for new creative ventures. Daniel Adams, an accomplished and renowned artist, will be presenting a demonstration in watercolor. 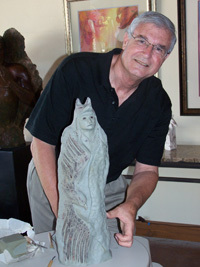 Daniel has won hundreds of awards including many Best of Show awards across the United States. He was once head of an art department for Walt Disney Productions. And he has taught different art processes and techniques over the years. Also, he has juried many art shows. Some of his many accomplishments are, (1) a founding member of The Open Arts Alliance, (2) the winner of the "Idea of the Year" at Disney World, (3) an Art Director for Metrovision Motion Picture Studios, (4) winner of poster design competitions, and (5) received the "Ambassador's Award" from the Astronauts' Memorial Foundation, their highest honor to bestow. Today he calls the beautiful Hill Country his home. Living on a lake for the past few years he wakes up to a different view each day. Cloudy, sunny or foggy, the views are inspiring to his creative process. He thanks God for the glory of it all, knowing it is not a permanent moment he is in, but one that is filled with changes each day, and each day is a new one, one that perhaps can be made a little better by understanding and protecting the natural world. Carla is planning to present a demo highlighting some of the major ideas in chiaroscuro painting and classical painting techniques. Participants will paint a simple still life which exemplifies the techniques discussed. Carla Sanchez grew up in a family of artists living in the Hamptons in NY. Although she wanted to study art at the Art Students League like her mother had, she was discouraged from following that path. Instead, she attended SUNY@Stonybrook, double majoring in Premed and Psychology. She later went on to receive her Masters in Psychology/ Counseling. It wasn't until 2006 that Carla was able to make art a priority in her life again. She now resides in Llano Texas with her son and her horses. In 2006, Carla began studying oil painting under the guidance of David Leffel and drawing as well as painting under Sherri Mc Graw, both modern Masters in their own rights. The first three years Carla traveled to paint with David and Sherri 5 to 6 times a year. She's been to Taos, Chicago, Santa Fe, Atlanta and Tampa. Today she still paints with David and Sherri but not as frequently. The expertise that they have imparted has been immeasurable in aiding her growth as an artist and a person. Besides David Leffel, Carla has studied in Santa Fe at the Valdez School of Art with Kevin Gorges. In 2013 Carla had the honor of meeting Roseta Santiago and attended a workshop she was offering. They quickly became friends. Roseta invited Carla to co- teach a workshop with her at the Quinlan. In 2014, Carla also painted with Kevin Beilfuss and Phil Starke.